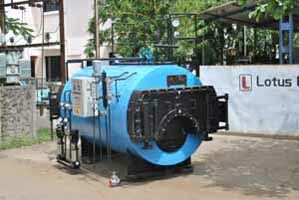 SIB- Suitable for plants with low pressure steam and steam load like dairy unit , feed plant, small chemical unit etc. 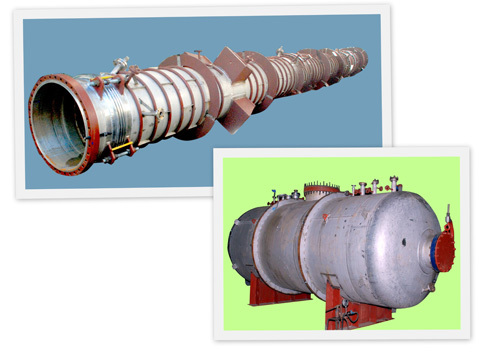 Capacity offered – upto 600kg/hr (F&A 100 deg C) and 7 bar design pressure. Complete Installation along with support equipment’s-accessories up to commissioning and IBR formalities for all boilers. All Above with optional SS /Rubber lining and Flue gas Ducting. 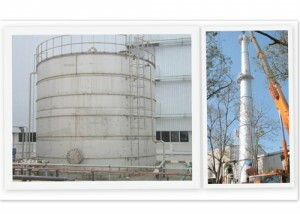 Gas Storage / Process vessels / LPG-Nitrogen-Oxygen storage tanks, Reboiler, Distillation Column, Blowdown tank, Bulk Oil Storage Tank, Soft Water Storage tanks, Chemical Storage tanks, Air receivers. 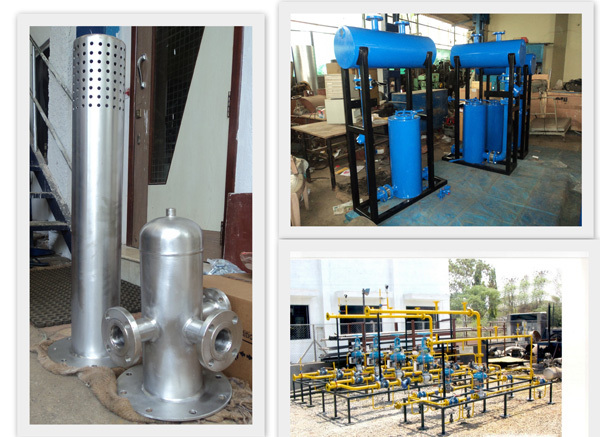 PRS-IBR / NON IBR, Condensate Pump, Flash Vessels, Steam Headers, Automatic Blowdown System. 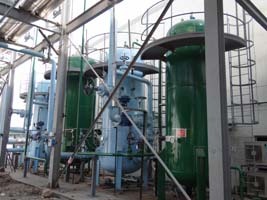 Mechanical Dust Collector, ID-Fan, FD-Fan, Feed Water Tank, Reboiler, Distillation column, Day Oil Tank, Water Preheater, Seperator, Air Preheater, Thermal Deaerator, Strainer, Steam Calorifiers. 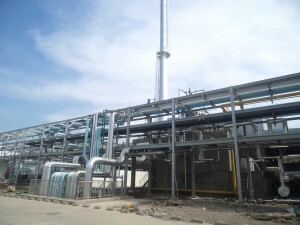 Petrochemical Process, Shells and Tube Heat Exchangers.